Ford Motor Co. manufactured about 5 million Model A vehicles over a four-year period. 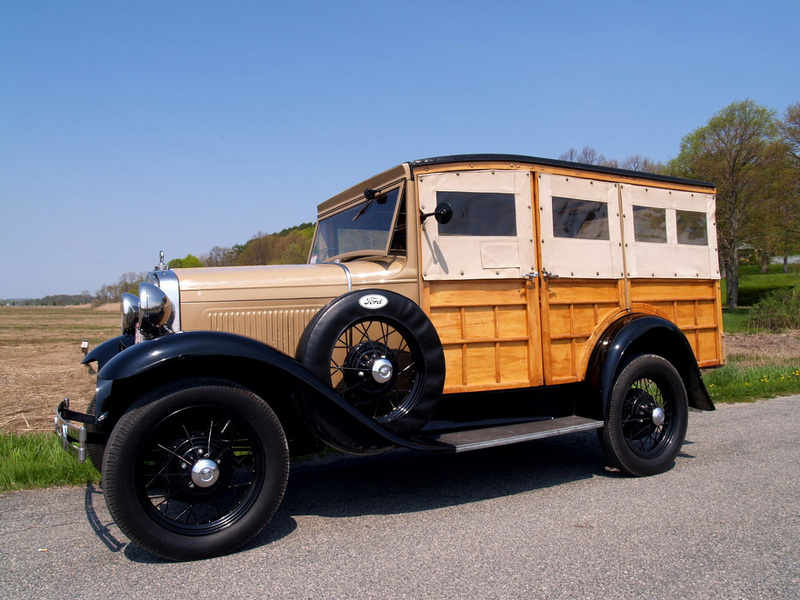 Early in the final model year, 1931, one of the 3,018 station wagons was built and then sold to a buyer in Massachusetts. 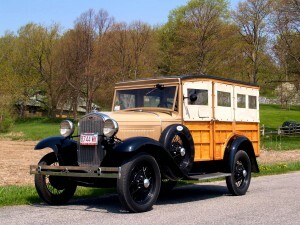 The owner of the Draper Co. in Hopedale, Mass., reportedly purchased a new car every year, so Lester Blaine Libby arranged to buy the year-old 1931 vehicle from him when the new 1932 car arrived. The wood-bodied Model A station wagon would be a perfect vehicle for Libby’s family. He drove the four-cylinder car home to Milford, Mass., where it was usually parked in the shelter of a garage or barn. His grandson, Robert Stallard, reports, “He used it to drive to his summer cottage on North Pond in Upton — 5 miles away.” The high ground clearance was ideal for navigating the unimproved road to the summer cabin. The Ford Model A was an old car when Stallard was born after World War II. It was a really old car more than a decade later when Stallard reached driving age. “I learned how to drive when I was 14,” Stallard recalls. “I would sometimes drive it to high school,” Stallard adds. He also drove it to his wedding in 1973. Ford offered 19 models in 1931. The base price for this particular model was $625. It rides on a 103.5-inch wheelbase and under the louvered hood is a trusty 200.5-cubic-inch powerplant that develops 40 horsepower. “I can get it up to about 55 mph.” Stallard says, “but the engine is straining.” He says the Ford is happier at 40 mph. As the years passed the Ford continued doing summer duty at the cottage on the pond. In 1963, a complete set of side curtains with clear plastic windows was put in. The curtains still are serviceable today due to spending most of the time in a garage. The driver’s door side curtain has a flap for the driver to put his arm through to signal his intention to turn. Stallard met Jim Briggs who shared his passion for restoring Model A Fords. “My eyes lit up,” Stallard says and that is when the restoration project was rekindled with enthusiastic help from Briggs. Better parts from a donor Model A were installed, including a new rear end. 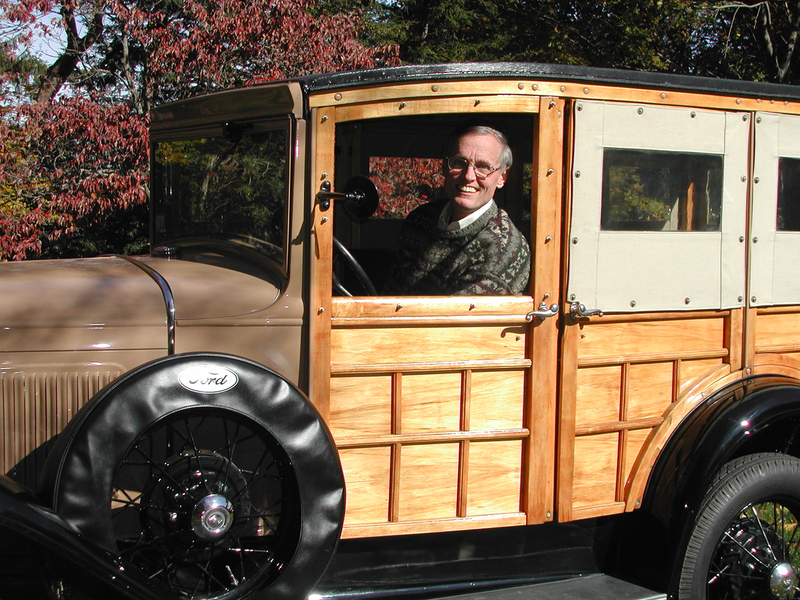 Stallard says about 95 percent of the maple wood and old fashioned plywood is original thanks to the entire car having been painted for several years. A front door and the tailgate have been replaced along with the wood beam above the windshield. The only glass window is the windshield, which has been replaced. The windshield can be pushed open at the bottom to allow fresh air into the cabin. A single vacuum-operated wiper is ready to clear the view for the driver. However, Stallard says to his knowledge the Ford has only been rained on twice since it was restored. During the restoration Stallard says all the steel parts were sandblasted before being painted: the fenders black, the hood and cowl Manila Brown. “It is basic transportation,” Stallard observes. Every part of the Ford is utilized.